In August 2018, Harrod Sport launched the Ron Harrod Foundation to help young local talent like Chloe with the increasing costs of competitive sport. "It will be nice to feel like I have played a role, however small, in the development of a sportsperson," Mark tells us. "The main challenges for any young sportsperson is maintaining the drive you need to make it to the top as you get older," explains Mark, who is a keen runner and football fan. "There is a level of sacrifice that any sportsperson has to make to get to the top of their profession and there are more and more temptations as you grow older. Naturally, young people want to do what their friends are doing, but you have to give up part of a 'normal' childhood to make it to the top." Nominations are coming in thick and fast, and Harrod Sport are pleased to welcome Mark to the panel that includes Suffolk Olympic boxer Anthony Ogogo. "Funding is another issue for young sportspeople," says Mark. "It's a real shame when a young person has to give up competing at the top level simply because they can't afford it." 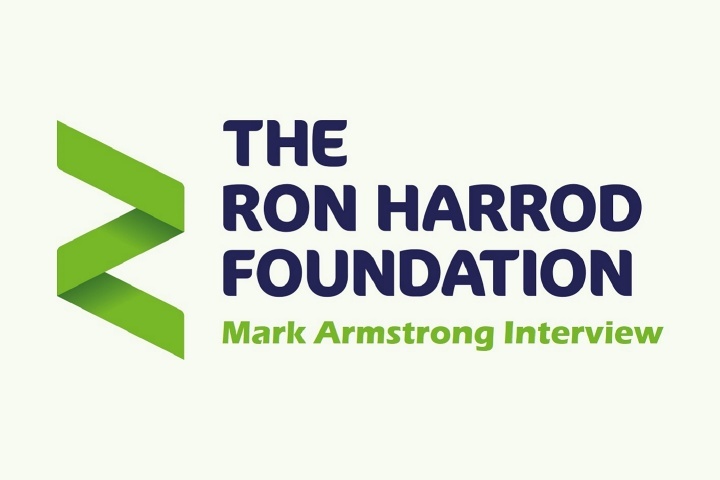 This is why we at Harrod Sport set up the Ron Harrod Foundation, to offer £5,000 of funding for one or more young local sportspeople in 2019. "I haven't been involved in a judging panel before, but I've interviewed sportspeople and tried to help raise their profile through my work at the EDP. The paper has always had a good relationship with people like Anthony Ogogo, following their careers as they progress from amateur to professional." "I have such respect for anyone who combines a demanding job with posting elite level times. For example, Danni Nimmock is an events manager for the London Marathon but somehow manages to fit the training in to win marathons - that's amazing! I struggle to fit in a couple of runs a week sometimes!" Mark adds that he's looking forward to reading the nominations of so many young and driven local sportspeople. We are looking for the recipient(s) of £5,000 of funding, to be awarded in 2019. We are inviting nominations from YOU, which will be assessed by a panel of judges before one or more recipients are chosen. The panel includes Harrod Sport board members, local athletes and representation from Suffolk Sports. Click here to nominate a young local athlete for the Ron Harrod Foundation.